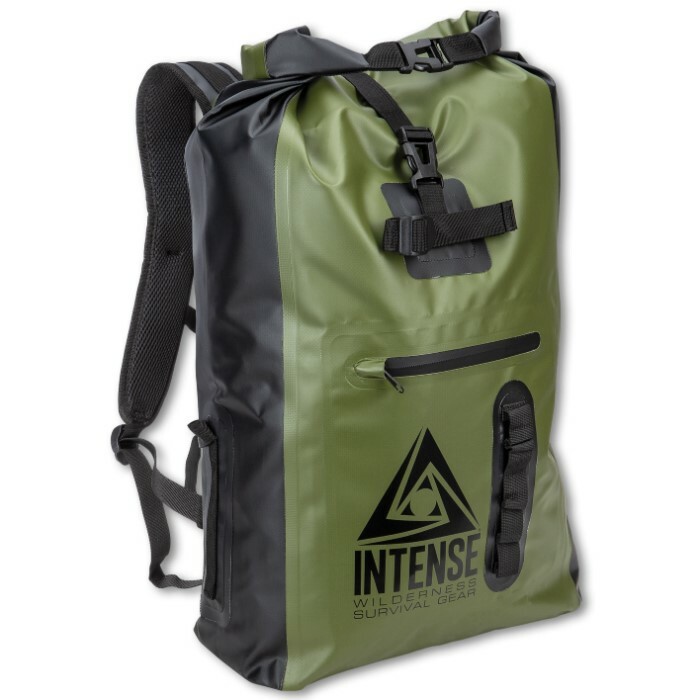 Intense Waterproof Drybag Backpack - 35L Capacity, PVC Tarpaulin Construction, Nylon Webbing Straps - Dimensions 23 2/5”x 12 2/5”x 7 1/2” | BUDK.com - Knives & Swords At The Lowest Prices! 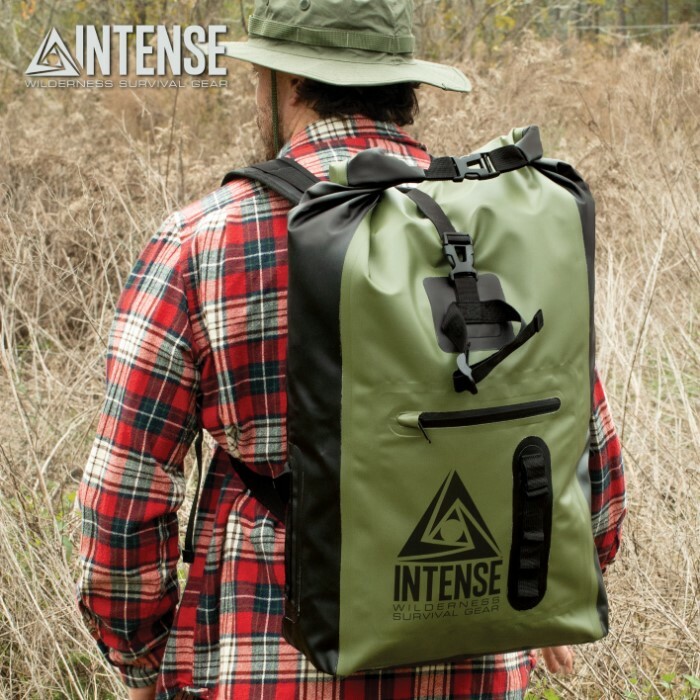 Our Intense Waterproof Drybag Backpack is what you should be carrying your gear in when the weather turns rainy, when you’re traveling down the river or fishing out at sea. 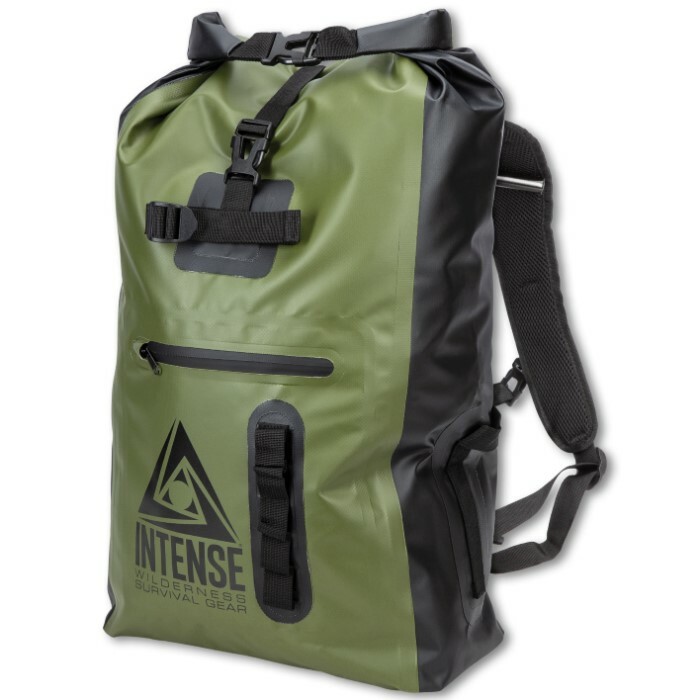 The tough and sturdy drybag backpack is constructed of waterproof PVC tarpaulin and has a roll down top, secured with quick-release buckles. 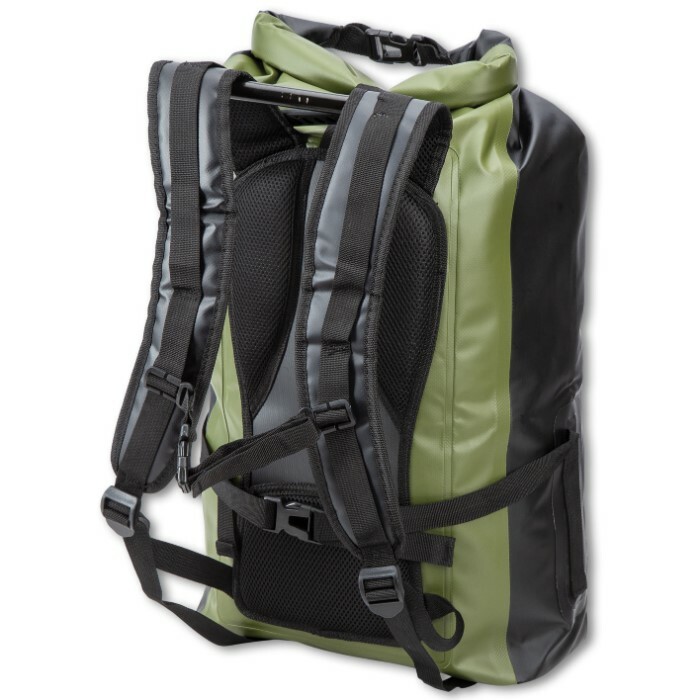 The removable, adjustable straps are padded and have an integrated padded panel for extra comfort, plus, a chest strap. 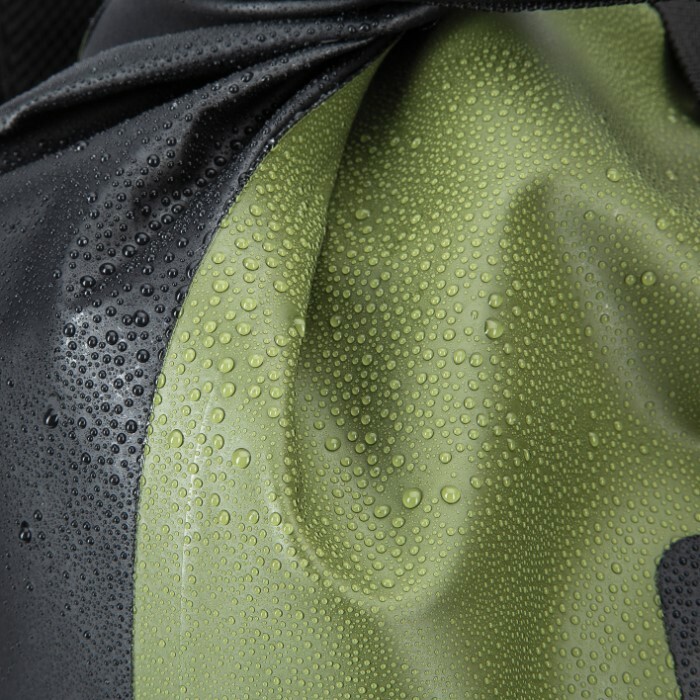 The main compartment has a 35L capacity and the drybag features a front zippered pocket and some MOLLE webbing.